Sweden believes that Gripen is the best option for Bulgaria and our Air Force, saying the fighter is the most advanced combat aircraft that have been proven in joint NATO missions. “Gripen is manufactured in Europe, fully compatible with NATO standards and it has low costs throughout its lifespan. 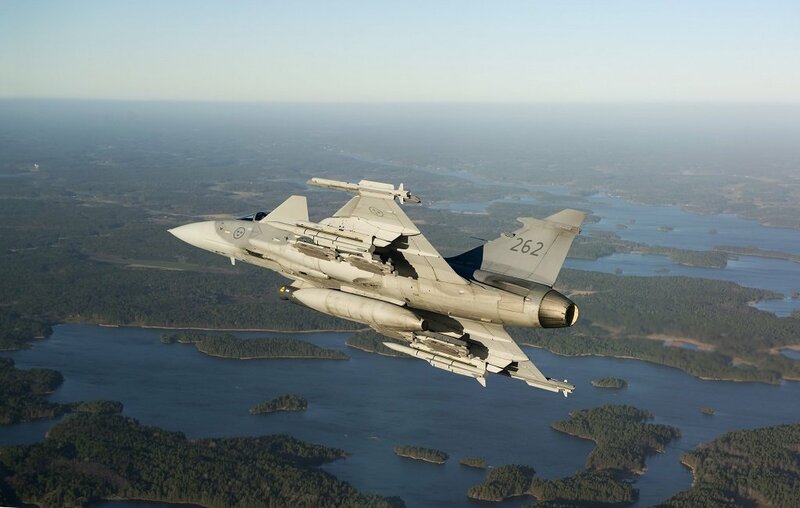 Moreover, Sweden offers a fully compatible package of 10 fighters,” emphasizes Joakim Wallin and adds that, along with the necessary armament and equipment, the offer is under the EUR 767 million budget originally approved by the Bulgarian Parliament. Sweden has already rejected that the purchase of new Gripen fighters will exceed the budget if all the equipment and armament required for aircraft to be multifunctional, are acquired through concluding contracts with third countries. According to the Bulgarian analysis, SAAB offers fighter aircraft for Air Policing. The Swedish Defence Material Administration says that it continues to monitor the process and remains available for further talks if Bulgaria wants to hold such. The Defence Minister Krasimir Karakachanov announced earlier that if negotiations with the U.S. fail, Bulgaria will start talks with Sweden. However, the deal is expected to be concluded quickly with the U.S.
Today, the Business Development Director for the F-16 Program at Lockheed Martin James Robinson stated that if Bulgaria decides to purchase 16 F-16 fighters, the second 8 aircraft will be at a much lower price than the first batch. He added that no update of avionics and computers would be needed for decades, and the maintenance will be carried out by the Bulgarian Air Force at the Graf Ignatievo Air Base. At the same time, the training of the Bulgarian pilots is also included in the contract – it will be conducted in the U.S.